Margaret (Maggie) Fitzsimmons’ practice with Schuyler, Roche & Crisham, P.C concentrates in commercial and civil litigation, including professional liability, product liability, personal injury defense, construction law, class action litigation, employment law and labor law. Maggie has represented clients in all stages of litigation, including jury trials in federal and state court. 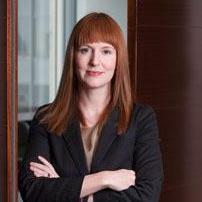 Ms. Fitzsimmons’ practice also includes negotiating collective bargaining agreements and handling disputes before the National Labor Relations Board. Margaret Fitzsimmons does not have any reviews yet. I worked at a firm named Crisham & Kubes Ltd originally, but we merged and became Schuyler, Roche, & Crisham, PC.